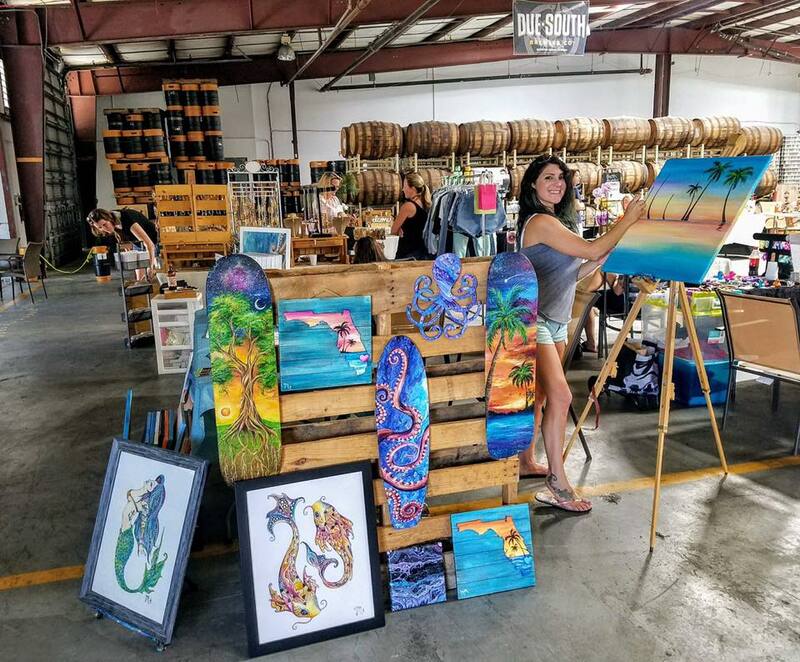 Craft Fairs – Due South Brewing Co.
We regularly host Craft Fairs (with 12+ vendors) at Due South. To find out about selling at future events, please sign up for our email list below. Some quick facts: we don’t charge vendors anything, 8’X8′ space is inside (not air conditioned), and vendors should plan to provide their own table. We vary our participants month to month to keep it more interesting for our customers and to give multiple vendors the opportunity to display their offerings. If you submit you are interested, we will follow up with an email if you are selected. The events listed below are already in planning and notices have already been sent about these. Go ahead and sign up for future emails. But if you would like to be a part of these listed below, please send an email to service@DueSouthBrewing.com with pics or a link showing what you do and let us know which event(s) you might want to do. We occasionally have a last minute vendor cancellation, so even if the event is booked, there’s a chance we might have room for one more.